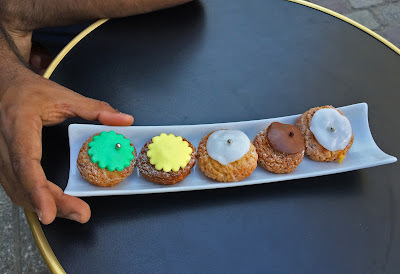 French patisserie is well known all over the world but few people know about the little gem called "choux a la cream". The choux pastry is a light and airy puff pastry which swells up during cooking leaving a hollow space which is later filled with whipped cream or custard. In 16th century, an Italian patissier Pantarelli invented the dough in Florence & travelled to France along with Catherine de Medici. His successor Popelini made a cake from the dough dried in fire and called it 'pate a chaud'. The same dough since the 18th century is known as pate a choux because the cake resembled little cabbages (choux means cabbage in French). 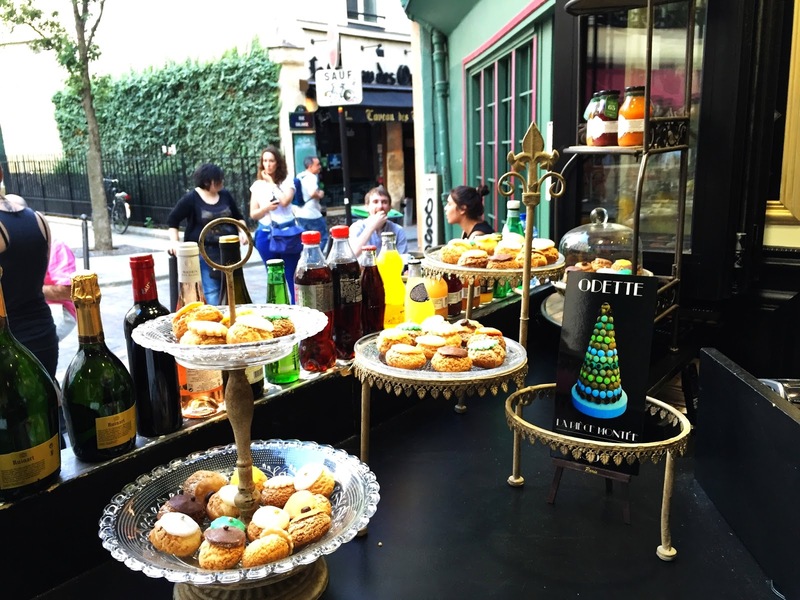 Odette Paris serves one of the best choux a la creme. 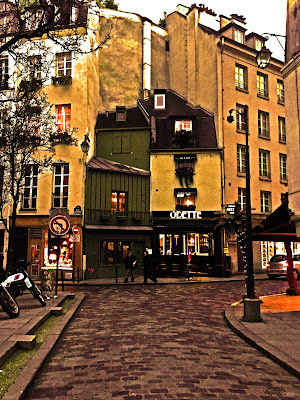 It is located opposite the Church of Saint-Julien-le-Pauvre, at 76, Rue Galande in the 5th arrondissement. The first floor of the tea room has a very good view of the Notre Dame Cathedral. The ambience is pretty good though I would say that too many tables have been cramped into a little space. 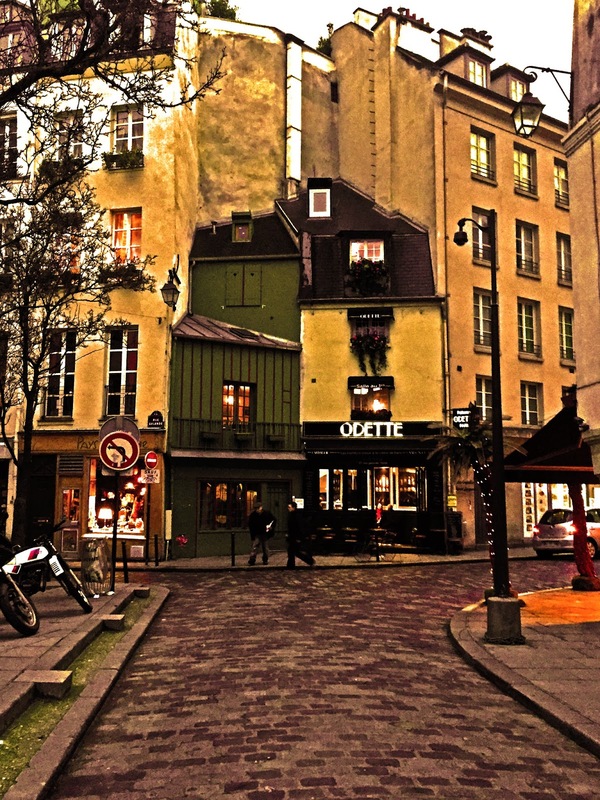 There's an old world feel to the ambience and one is sure to be lost in the aura of the Parisian Belle Epoch. 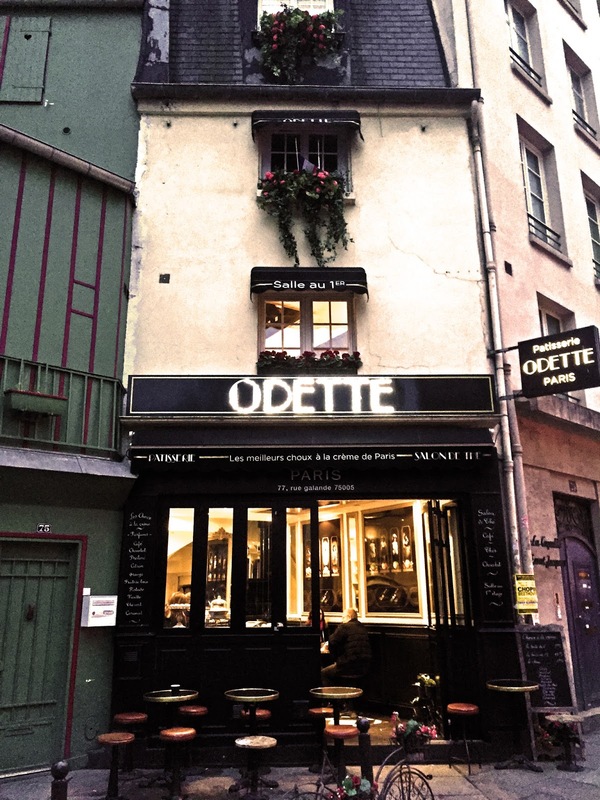 If you are a book lover and a foodie then I would say it is very easy for you to locate Odette Paris. There's a charming little lane by the side of the famous english bookstore Shakespeare and Company, that leads right up to the quaint little tearoom of Odette Paris. Frédéric Berthy is the patissier and owner of the tearoom Odette Paris. There are nine different flavors, which are classic and gourmand at the same time. The flavors are chocolate, cafe, praline, caramel, fruits of the forest, pistachio, green tea, citrus and vanilla. The price is very affordable and quite reasonable for these delicious little balls of cream. Each piece costs 1.90€. 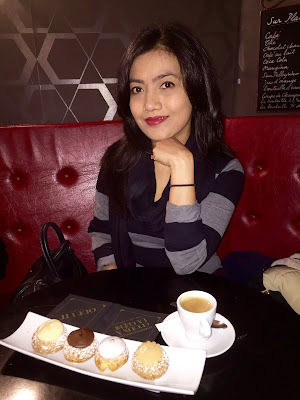 After several visits to Odette Paris, I realised that my favorite flavors are chocolate, vanilla and pistachio. I usually like to devour them in the tearoom itself but there's also a choice for taking those little creamy cabbages and devouring them during a leisurely stroll on the banks of the Seine . 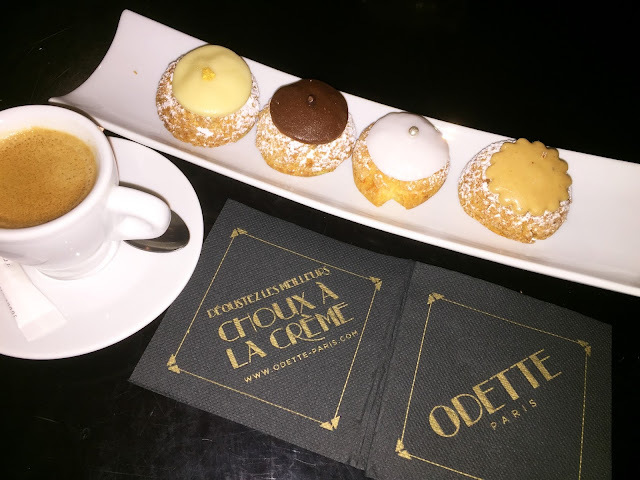 So when you are in Paris make it a point to try the 'choux a la creme' at Odette Paris. Hello... Mitanti... Ur review is too good. Not only was it written in details... But the pics u shared were too yummy to view. Finally it was gud to kno about d 9 diff flavours. Nxt i move into a pastry shop ill keep in mind about d rare flavours u wrote n try to search them n c if kolkata pastry shops r aware of dem. Good effort. Carry on. Not sure if these pastries are available in Kolkata but after reading this I'll surely look for it and try them too. From the images given above I guess choclate,vanilla and caramel would me my favourites. Looking forward to try them soon. Thank you 😊 Do try them if you find them In Kolkata.